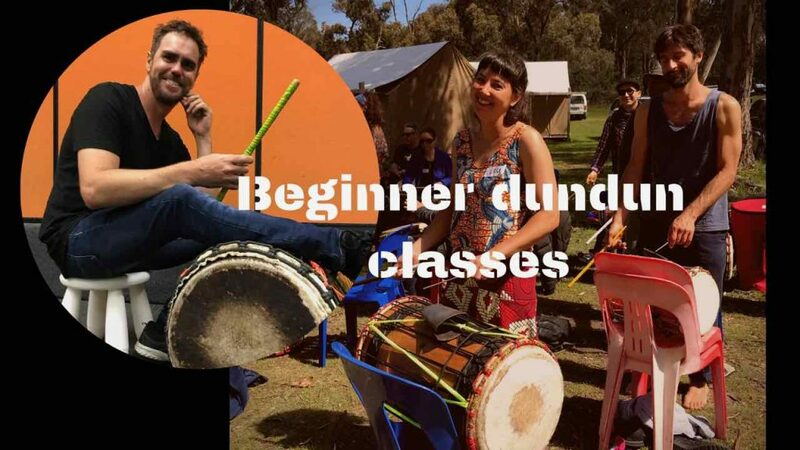 We have introduced a brand new class to Melbourne Djembe – dundun for beginners. Dunduns are the cylindrical drums played with sticks, which provide the bass notes in a drumming ensemble. There are three drums which make up a set of dunduns – the sangban, kenkeni and dundunba. 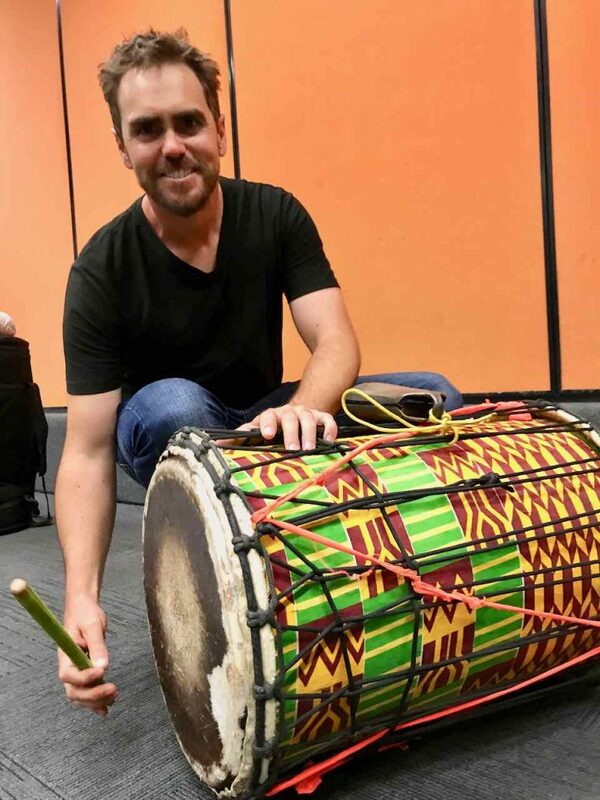 Students will learn how to get the best sound out of these drums, and how to play the traditional parts which combine to make the melodies of West African rhythms. Learning dundun will deepen your understanding of African percussion and make you a better djembe player/dancer. We are offering a $20 discount for anyone who is already booked into another course with Melbourne Djembe. A dedicated full time musician, Michael has been recording, teaching and performing since his teenage years. From early on, he took a keen interest in percussion ensembles with traditional African foundations and then complimented this by also playing drum set in melodic bands that play Soukous, Samba, Ska/Reggae and Funk. Michael has not only gained experience from performing with great artists locally and internationally but has also always endeavoured to grow, create and share with teachers and students of “Afro-Diasporic” based music.